It’s easy to forget just how much the world of our favorite Mesozoic megafauna differed from the one we call home today. When dinosaurs originated more than 200 million years ago, the continents were already moving away from each other thanks to tectonic forces. Dinosaurs first appeared when all today’s land was grouped together into the supercontinent, Pangaea (Greek for ‘all lands’). As Pangaea broke up, the modern continents gradually took shape and the dinosaurs on each landmass developed their own character. The continents moved across the Earth’s surface at the speed our fingernails grow–the rate at which they still plod along today. If we could rewind their movements, we’d see a very different terrestrial map. During that vast span of time the climate fluctuated, too. Early dinosaurs may have breathed in five times more CO2 than is found in today’s atmosphere. The planet’s temperatures were much warmer then, and no ice caps crowned the Earth’s polar regions. 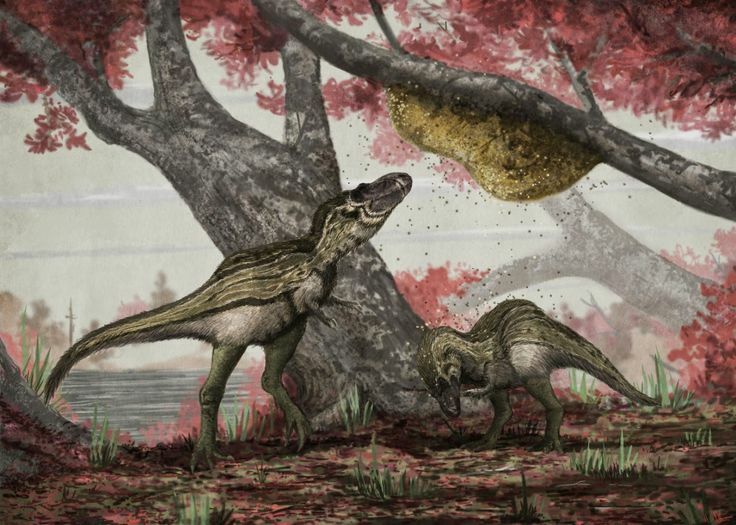 Perhaps most striking of all, the early dinosaurs lived in a world that was mostly green and brown. Flowering plants did not evolve until the late Jurassic period, and were not abundant until the Cretaceous. So many dinosaurs never saw flowers or ate grass. The drastic changes in the plant world had their effects on the dinosaurs as well. Many groups of dinosaurs rose to prominence in the Cretaceous to take advantage of these new flowering plants. Yet, for all the strange happenings on our spinning terraqueous marble, dinosaurs and humanity call the same planet home. The Earth is still changing and studying the past allows us to understand more than the history of nature–it also provides clues to our future. Fascinated by the dinosaur world? Share your photos of favorite fossils, museum displays, and more on Facebook and Twitter using the hashtag #TDIDinos.